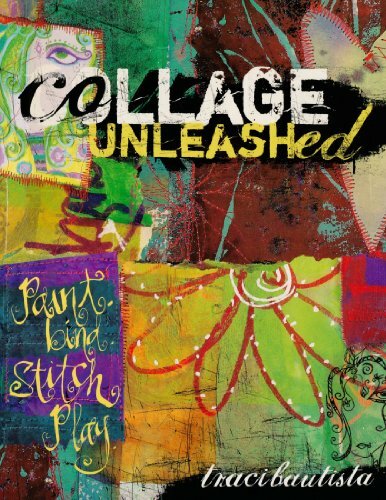 My book, Collage Unleashed, published by F+W Publications/North Light Books. Ranked #1 best-selling Mixed Media and Papercrafts book on Amazon.com! 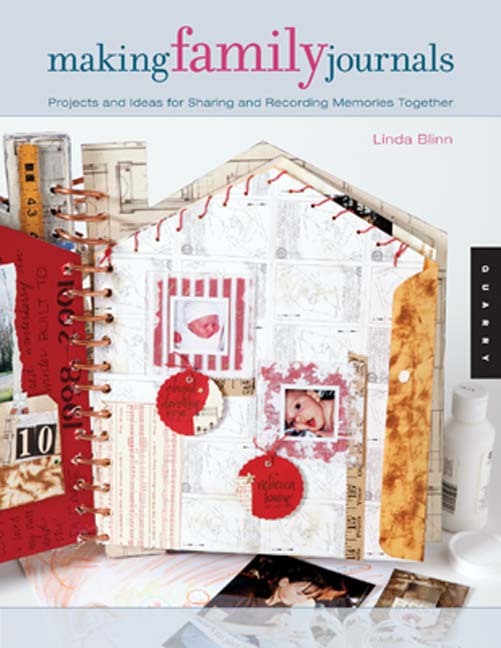 Two of my handmade journal projects are featured in this book. Take an adventure in my mixed media "live" workshop video...as I teach creative techniques from my book. Get a step-by-step guide to create "Retro Rags" collage books. The process is fun and fast, perfect for students of all ages. 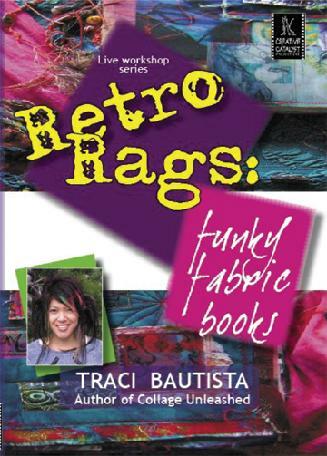 You see how to dye and paint a variety of cloth and paper, make and use stamps and stencils, transfer images, assemble art quilt collage covers, stitch designs, create my signature "girlie glam" doodles and assemble the book with funky RETRO fibers. 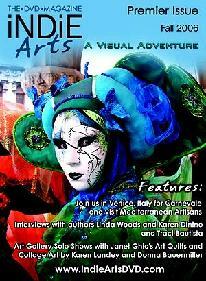 BUY an AUTOGRAPHED copy TODAY! Viewing of movies requires Windows Media Player or Quicktime 3.0 or higher. MY COLLAGE WORK IN SOMERSET BOOK PUBLICATIONSHere are books that feature my art and projects. 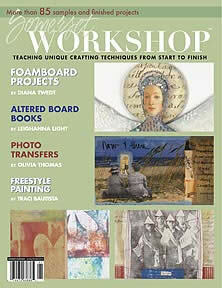 Check out SOMERSET WORKSHOP, available at B&N and Borders NOW!! In this fun and inspirational art book, there are over 20 pages of my freestyle painting techniques. TRANSPARENT ART is filled with a plethora of my mixed media collage techniques and projects! 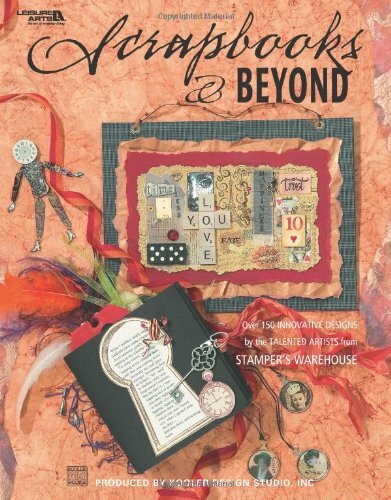 Be inspired by my Grandma's vintage book and various collage card projects in this book. 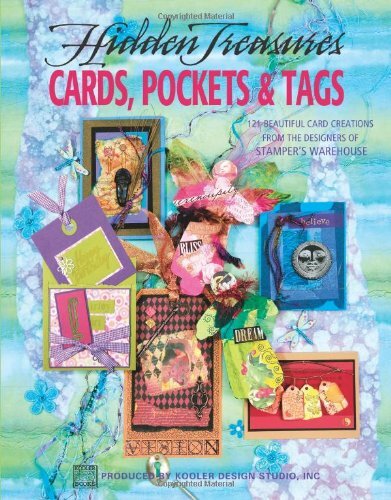 A selection of my holiday tags and cards, angelic collage paper ornaments and fun collage projects are featured in this book.